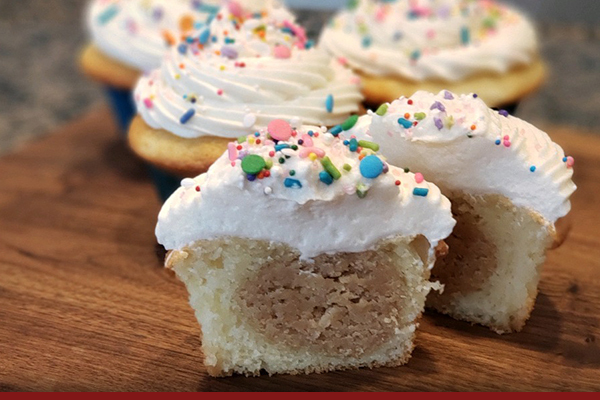 Jonny C’s NY Deli and Caterers is owned by Jon Cohen, a native of the New York City area who has owned and operated numerous delis and restaurants. 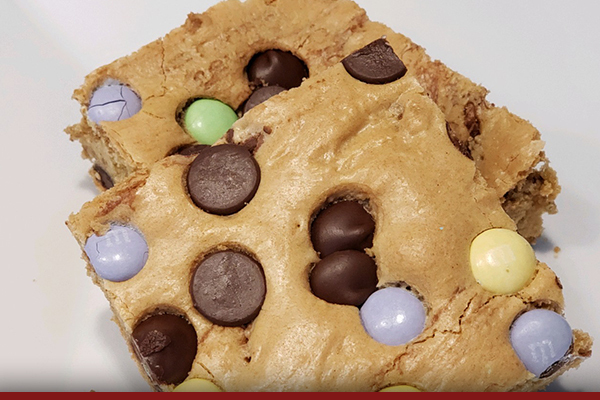 Having been involved in the foodservice industry since the age of sixteen, he has incorporated many ideas and concepts into his Buffalo restaurants. Jonny C’s NY Deli in East Amherst opened in November of 2006. Jonny C’s is located at 9350 Transit Road in East Amherst, New York right at the corner of Casey Road. It is a self-service deli featuring an eat-in dining room that is decorated with lots of New York City Nostalgia, with takeout being an available option as well. 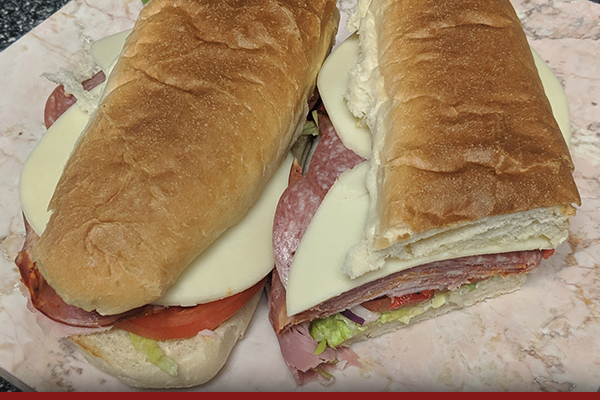 A wide variety of specialty meats and cold cuts are sold by the pound in addition to our extensive menu of delicious over-stuffed sandwiches, hot entrees, salads, side, and soups. 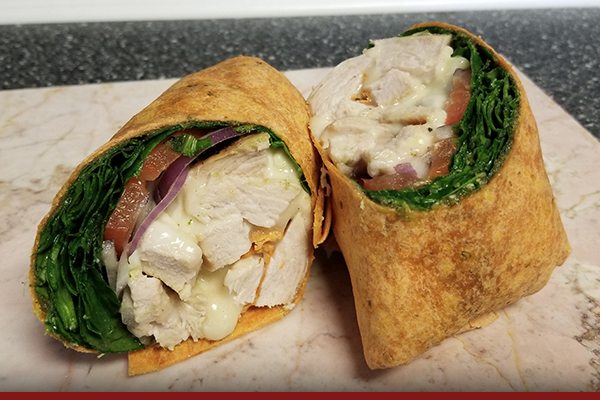 Grilled Chicken, Pesto, Spinach, Tomato, Onion, and Melted Mozzarella all served in your choice of wrap. 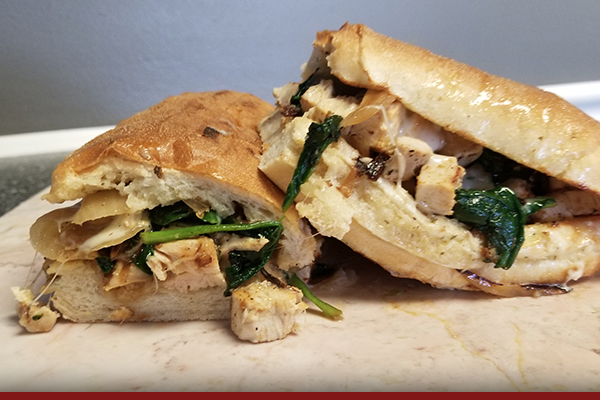 Grilled Chicken, Sautéed Spinach, Sautéed Onions, Oil, and Melted Mozzarella all served on a toasted garlic sub roll. Capicola, Ham, Salami, Provolone, Pesto Mayo, Lettuce, Tomato, Onion, Roasted Red Peppers all served on a toasted sub roll.